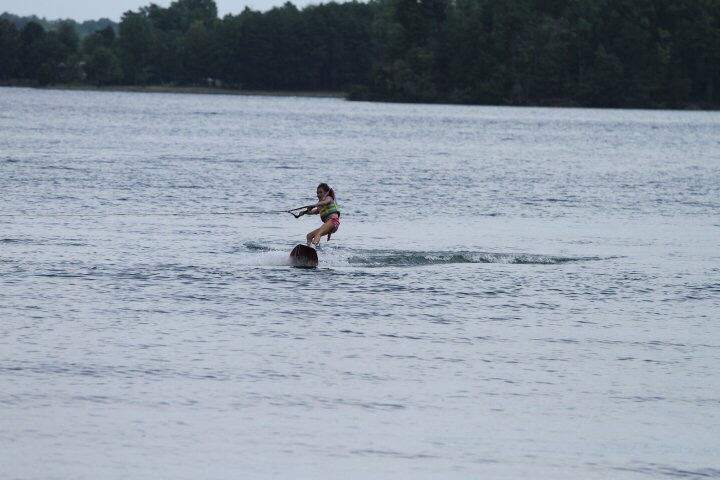 Smith Mountain Lake is known for its abundance of outdoor activities such as boating, fishing and horseback riding. Spending endless hours of fun outdoors will definitely help build an appetite! Luckily for you, Smith Mountain Lake offers many dining options giving you the freedom to enjoy the outdoors and experience great food. Many of the restaurants at Smith Mountain Lake are located on the water, providing you with breathtaking views of the Blue Ridge Mountains and crystal clear water while you dine. The Landing Restaurant offers fine dining experiences and beautiful lakefront views. Having received awards such as Best Lake Area Restaurant for the past 10 years and the Best Restaurant at Smith Mountain Lake, The Landing Restaurant is a top pick for residents and visitors of Smith Mountain Lake. Opened in November of 2005, The Blackwater Café is one of the favorites of Smith Mountain Lake. Though the restaurant is not lakefront, it is known for its extensive wine list and focuses on serving great food and providing excellent customer service. Make sure to check their website for special menus and events. Waller’s is a Bar & Grill that sits right on the water. Serving burgers, seafood and BBQ, Waller’s offers a little something for everyone. The spectacular views and live entertainment gives your family a wonderful experience when dining here. Smith Mountain Lake offers so much more when it comes to dining. From Italian to sushi to Mexican or down-home Southern cooking, there are options for diners of all ages. With dozens of places to choose from on Smith Mountain Lake, just pick a direction and feed your palate! Please be sure to call first since some of the restaurants are open seasonally. Feel free to contact me for more information on the Smith Mountain Lake area and the communities within. I’m ready to answer your questions and am committed to providing the best customer service possible! I look forward to speaking with you soon!